When it comes to keeping up with your favorite stars, it can be exhausting. Trust us, we know it is hardly an easy task to juggle school, sports, after school activities, you name it – all while also managing to keep a close watch on the hottest celebrities in Hollywood. That’s why we are here to help. Watching the Instagram and Snapchat Stories of your fave celebs is a must, but having only 24 hours to catch their stories is sometimes just not enough time. Missed your chance to catch stars’ stories before time ran out? We’ve got you covered with all the expired stories you truly need in your lives. 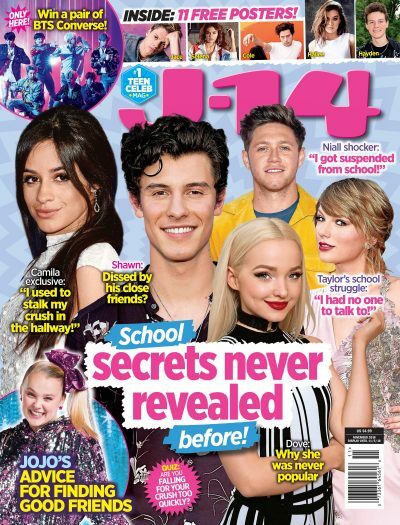 From “There’s Nothing Holdin’ Me Back” crooner Shawn Mendes to Descendants 2 star Dove Cameron, these stars stories were ones you simply have to see. Watch the video above to catch stars’ stories that you may have missed.